This stern warning came from Jane MacQuitty in The Times on May 5th, 2001, following the En Primeur tastings of the much-hyped 2000 vintage. Jane might have been a little wide of the mark in terms of investment advice back then, but her words ring true for many of the top end 2009s released this week. 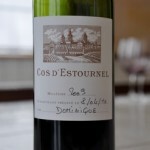 Don’t get me wrong – there are some fantastic wines in 2009. It’s just that the market for them has gone bonkers and I believe that this time it’s different. I was a big fan of buying the 2000s and the 2005s En Primeur, despite warnings from many observers at the time that prices were too high: writing up the ’05 Primeurs for Wine and Spirit magazine, I urged readers to buy the wines, and re-stated that in December 2007 after I’d tried them all in bottle. There have been some terrific 2009 values, and I’ll highlight those shortly. However, the prices for many of the ‘second’ tier of top 2009s from Bordeaux, released this week, simply beggar belief (see below). According to Liv-ex, prices announced in the final week are up nearly 200% over 2008 and 57% over 2005 – and much more than this above ’05 in £ terms. Even more astonishing is that many are selling out, apparently. I have been receiving emails, asking advice on ‘should I buy this, should I buy that, what should I buy?’ which I’m only too happy to answer. I usually refer to my up-to-date list of 2005s v 2009s. “One of the most eagerly awaited releases of the 2009 campaign, Château Figeac excelled in 2009… (and in the same email) Ducru-Beaucaillou is a property that has been going from strength to strength over the last decade and the 2009 is a tour-de-force of great St-Julien… a truly wonderful wine”. Sure, but at the prices offered – see the grid below – are they good buys for the consumer at 290% and 188% up on 2008 and 127% and 67% up on 2005 respectively (ex-Bordeaux prices)? No mention of that. And we’re not talking cowboys: these guys have 12% market share of Bordeaux sales in the UK by value. So, if some owners and their distributors are playing the Joker, who are the Clowns that are buying? Perhaps some people have an inside track on what the Chinese are into, or what brands they will buy in the future, or – more likely – too many buyers have pre-ordered these 2009s, thinking that they will be a good investment. I very much doubt they will be – not unless the wines follow in the footsteps of Lafite and become seriously sought-after names in China. Even if that is the case, great wines from the same estates from earlier top vintages are much cheaper. Lafite is a separate issue – who knows what price ’09 Lafite Rothschild will end up at as it’s now trading for £13k a case – followed by the rest of the First Growths in the £8-10k bracket. Below these, of course, über-critic Robert Parker can fulfill his own prophesy in two years’ time by awarding some wines the magical 100 points (Cos d’Estournel?). The value of those specific wines will be assured, although God knows what will happen to the market if he has to quit one day, even if he is a fit 63. There are, however, an awful lot of wines that will not increase in value for a very long time yet. The goose that lays the golden egg might well have been throttled this week, as some proprietors have forgotten that by leaving a bit of margin for the buyer at the end of the chain, everybody wins. There is already a massive amount of stock in the system – the 2006s, the overpriced 2007s, the slightly undervalued 2008s, and soon to come will be the 2010s (which will not, in all likelihood, be a great vintage – more on that another time). Let alone the massive stockpiles of Bordeaux around the globe. The price of the 2009s might pull up some vintages, such as the 2005s and the 2008s, but not enough to re-inflate the bubble. And if merchants or négociants have made the wrong calls, they’ll be left holding some very expensive stock. Talking of bubbles, and thanks to Charlie Matthews for the link, as someone who scraped through the dotcom crash a decade ago (I bought our petit château on the back of share options in one computer business but lost out on another), this all has a vaguely familiar feel. €50,000 for a barrel of 2009 Figeac? €200,000 for a barrique of La Mission Haut Brion, which I’ve been offered at £6800 a case, whereas Majestic emailed me just four years ago with the outstanding 2005 En Primeur for £1300? Tulips, anyone? Here are just ten of the toppy 2009s released En Primeur (EP) this week, excluding the flying First Growths, comparing them with 2005 and 2008 points and prices. As the lyric from the song goes, “Trying to make some sense of it all, but I can see it makes no sense at all.” Let’s hope it doesn’t all go to the reservoir dogs. Thank you for all the advice especially the table comparing the prices and scores between 2009 and 2005. As I am a first time buyer in en primeur, it really did help. In fact, my original intention was to buy a bottle or two of Lafite 2009 (my first son was born last year) en primeur so that it won't be too expensive. The I discovered that EUR550 per bottle is impossible to get (first they don't sell by the bottle, and 550 is the price in a mysterious currency that is at least twice the value of Euro). So my next strategy was to buy carruades de lafite. Not possible as well. Then i bump into your blog and to cut the story short, I bought a case of la fleur petrus instead. My hope is either they will appreciate enough in the next few years (I sell them off and buy a bottle or two of Lafite 2009 at prevailing market price) or they really taste good. If I am living in the UK, i would have bought a few cases of belle vue as well. And probably send a case to you as gesture of appreciation. Many thanks for your kind comments. I think you did exactly the right thing buying La Fleur Petrus. I'm sure you will not regret it.